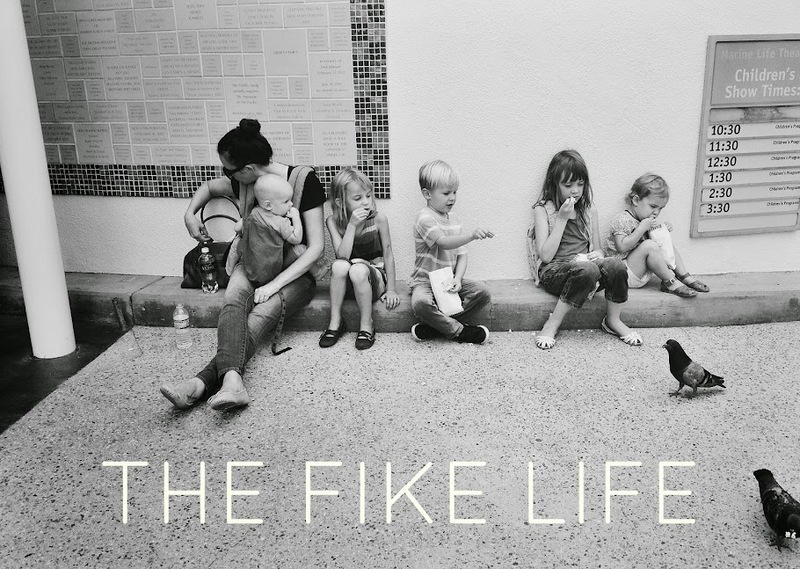 The Fike Life: Yay, Giveaway with Petunia Pickle Bottom! Yay, Giveaway with Petunia Pickle Bottom! Maybe you love Petunia Pickle Bottom because of their beautiful bags that can fit everything you need for a baby(ies) while totally preserving chicness. I mean, that is true, and you should love them for that. But I say they are mostly awesome because of who they are. They are a real deal, heartfelt local (for me) start up that made a great bag and it worked. They now have their very own boutique in downtown Ventura which happens to be 20 minutes from me *and* directly above Jenna's husband's office. This works out well when Petunia, say, has a sample sale and I, say, bang on his office window and he, say, comes out to stand by my kids in the van while I peruse the racks. Winner winner. But truly- this company is one you want to buy things from. The people and the story are what makes this brand wonderful. And the bags are the best kinda perk. So, do you want one?? Can't wait to see who snags this bag! Thanks, Petunia! Ummm.. What's not to love about PPB!? I love their bags (especially the weekender). I'll take one of everything, please! 😀. I would LOVE this bag to help cart around goodies for my 5 week old and my almost 2 year old. Plus it's a beaut!! Oh I need a new baby bag SO bad. My Vera Bradley bag is looking haggard! I checked out the website and these are gorgeous bags. The City Caryall Bag in the green and the Wistful Weekender in the green are definitely tied for first! Yep. Between the millions o' children I have+my constant outfit changes+my undying love of a good bag that can fit real humans inside....I'd really enjoy this. I'm a fan of the hideaway hobo in grey! Yes. YES. I'm a loyal, broke Petunia lover who's shopped every year, but has never been able to pull the trigger. Me me meeee! I love the size of the weekender! Lively Lima is a cute print, and super gender neutral (I've never decided if baby accessories should match the baby's gender or if it even matters, since I'm a girl...says the boy mom). Their layette items are SUPER soft and cuddly, I only wish mine didn't grow out of them so fast! Got a great deal when they put them in the outlet! btw- rafflecopter isn't loading... we are supposed to comment and sign-in there, right?? sorry! I had to edit something... working now? not for me;( Do you see other entries showing up? Is it me? :( Okay, I'll try back again later. From another form of media. Is everyone else able to see/use rafflecopter? Oooo, LOVE those Weekender bags! Oh, I like the City carryall in Classically Crete! Super cute! I had never been on their website, only heard the raves about their bags! I want THAT exact bag. Funny because I remember telling you to get that one. Follower. You and Jenna ruled my decision making process. I owe you... my wipes case! Or the baby? Haha. LOVE THE OLIVE!!!!! Junior High Jacqui was obsessed with olive green, so naturally I am wanting this bag something fierce. Also, I am an over preparer. This looks beautiful and gigantic but mostly beautiful! I'd love to win! I love a good non-ugly diaper bag that can be used for longer than the diaper days. My pick would be that exact bag - wistful weekender in regent's park stop. With all the short trips we love to make around Oregon, this bag would be perfect! I like classically crete. I like anything gender neutral so it can be used for numerous children. I am actually liking the olive a little more. It seems like it wouldn't end up stained…boring mom. I like the Earl Grey print. Can Canadians win!?!? Love this bag and what a sweet giveaway! Thanks Blythe!!!! Persimmon Spice or the one you have. So loving their new line! Is it greedy of me to want a third weekender!? I'm currently loving royal blue, so my fav is the westminster stop! Oh and I love either the earl grey or classically crete, but they are all beautiful! Cute bag... and I've got a new baby coming to fit inside. Yes please! Weekender! Enough room for 2 with diapers and 1 in the occasional pull up. Love. I'm a tiny bit obsessed with the Weekend in Windsor print, but I really love 'em all. 1st time mama can't get enough of PPB! Girl, you know I need this. Yes. Please. cute bag, not digging the color but maybe I need to branch out from my basic boring always brown? I love the weekender in the champs-elysees stop print, but the Olive is gorgeous too! Baby #6 is due two weeks from now, and this would be just perfect. Thanks for the giveaway! Oh me, oh my! Never heard of Petunia, probably because I'm Canadian, but I just love these bags! I can't decide if I like that exact bag or the same in the Earl Grey. And, I need a new diaper bag/purse, so this would be awesome! I was just thinking about how I need a real diaper bag! Love the olive color as well! Ooh the city carryall. Love it. I love it! I usually hate how diaper bags look but this looks like my new weekend bag. Forget the kids! Windsor print Weekender all the way! Great giveaway! I love the Westminster Stop pattern! The colors! The colors are all so rich and beautiful so they stand out! The olive is awesome. But I also like Breakfast in Berkshire. Love the subtlety of the Central Park North Stop bags! A boxy backpack (for a friend). :) Probably in olive! Ooh, all of them! But especially the Westminster Stop. I do love the olive color...or should I say, regent's park stop. So pretty for fall! I love the classically crete. I like the in evening in islington because because it's feminine that I don't have to worry about any of the males in my house wanting to use it but not so feminine that my husband wouldn't carry if for me ( he's very anti-purse holding). I like the Whereabouts wallet - very convenient and good for mommies! You mean I have to pick just one? I think Paris Noir is my favorite, today anyway. Looks like the kind of bag that I have been looking for for the past five years. Now my girls are five, but just in time for my little man! I tried to comment but I don't see it here. I love the cake line! It's amazing! I love anything green and already love my PPB Ergo, so I'm sure a bag would be just great! This is my favorite Petunia Picklebottom Bag yet! Oh Dear God, I love every single bag they make. Favs would probably The Olive or Paris Noir. Early grey for me please! looks like a great carry-on! Love all the boxy backpacks. I know it's about the print, but come on. The color! It's one of my fall favorites. I've been in the market for a good baby bag. Oh, way to read the instructions first, Elizabeth... I love the "champs-elysees stop" pattern. Love this exact bag!! ! Central Park North Stop - so classic! Beautiful bag(s)! Not a huge print fan - so I'm going with your pick of the regent's park stop. definitely the Paris Noir. so chic! Ohh, that persimmon spice weekender is calling my name! Oops- meant to say love the weekender in persimmon spice! I love the classically crete pattern! I really love the bright blue westminster stop! I could only dream of such a lovely bag. Love the backpack in the blue color! What a great giveaway! The weekender is awesome! I love the carryall bag in the black with gold zippers. Classy! Earl grey & Weekend in windsor are my top two. SO many cute prints though! The hideaway hobo in champs-elysees stop is so me, my heart stopped when I saw it. I love the olive color! I am so into olive! Casbah nights is my fave. The gray embossed bag is the cutest! I love the Earl Grey and the Paris Noir! Loving all the carryalls! Especially the "westminster stop" version. The Hideaway Hobo or City Carryall look awesome - perfect size and shape. I'm diggin the wistful weekender. I love all the boxy backpacks! I can't tell if my last comment posted...so I'm doing it again. Sorry if it's a duplicate. :) I'm loving the Earl Grey and Persimmon Spice! I love Classic in Crete and Breakfast in Berkshire! I would love this! I'm in desperate need of a new bag! How do you pick one? I think beautiful Barcelona is calling me though. The London Mist print is a beaut! I really like the breakfast in berkshire! So pretty! Wistful Weekender in earl grey!! I really like the Weekender....in any color! Baby #4 is on the way and I really need a new bag! This beautiful Olive color is my favorite... and I think the Satchel is my favorite bag! I love the weekend in windsor print! Great bag!! Would love it!! I love everything about that bag - the olive green is amazing and the size is perfect! I can't decide! Picking a bag is like choosing which one of your children you like the most - but bags don't nap, so what to do?!? I love the Weekender in Notting Hill Stop and Timeless Tulips! Central Park North Stop is my fav print! So glad that I found your blog through this giveaway. I have read a few posts and can't wait to read more. Thank you for the wonderful giveaway opportunity as well. I love the hideaway hobo in Westminster Stop. What a pretty blue! I love the bag! Thanks for doing this. Great pictures! Your kids are so fun. I love the Earl Grey, but green is my favorite color, so I'd love that too! I love the Earl Grey pattern. I love the Champs-Elysees Stop color! I like the Windsor print! I love that weekender - but I think i love the City Carryall in Central Park north stop most... gorgeous! I love this bag...and I love your blog! Thanks for writing! Usually I'm pretty terrible at remembering to use a diaper bag, but I would def use this one. Love it! Hmmm..love it all. Can I say my favorite thing is the name? Petunia Pickle Bottom....nice. love the city carryall in weekend in windsor! I love it in the Champs-Elysees! I would sooooo enjoy this! Let me win! I love the Wistful Weekender in regent's park stop! I love your blog and love Petunia Pickle Bottom Bags...especially this one! I would looooooove to win this...woo! I love the weekender; any color will do! I love the weekend in windsor! Really like the "stops" - Notting Hill and Central Park North are faves - fun! ohhh, I'm in love with the Earl Grey! Just found your blog :) I was Baptist too and still trying to figure out that piece. Oh and I love homeschooling. Adding you to my bloglist on bloglovin. OMG The persimmon!!!! <3 this giveaway so much! I love the City Carryall in the olive green color....or should I be cool and call it "Regent's Park Stop?" I love all of them!!! How can you choose??? Love PPB and enjoy following your blog! Oh man. I was all like, who needs a pretty diaper bag?, when I started reading this post. Then, I saw it. Paris Noir is so chic!